“New Yorker” cover on April 3, 2017, called “Operating Theatre” by Malika Favre. 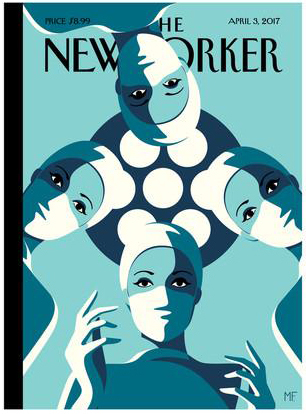 It started as the graphic art for an April 3, New Yorker cover and came to serve as a Twitter rallying cry for women surgeons across the globe. Little did French artist Malika Favre know that her graphic art of 4 women surgeons in the operating room would become a “hear me roar” moment for female surgeons across the world. 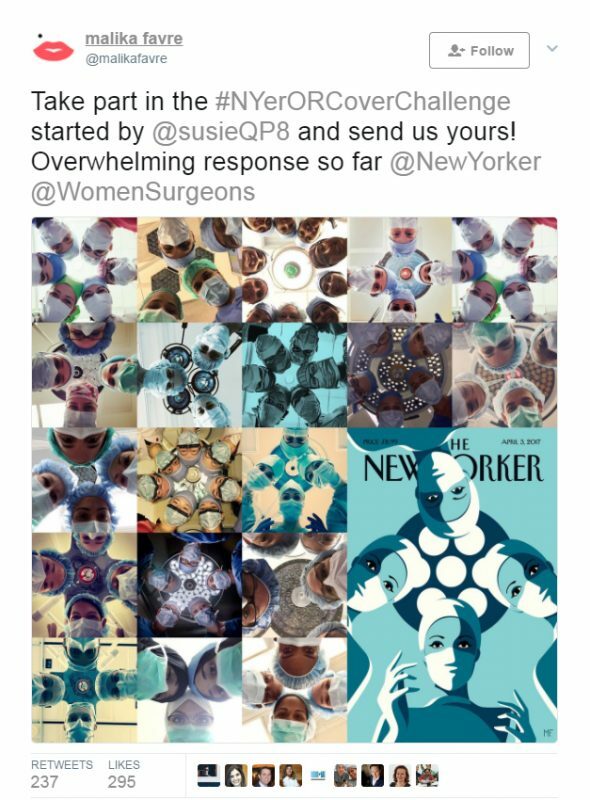 That twist of fate was thanks to Dr. Susan Pitt, an endocrinology surgeon at the University of Wisconsin, who issued a Twitter challenge to fellow woman surgeons, called the #NYerORCoverChallenge. 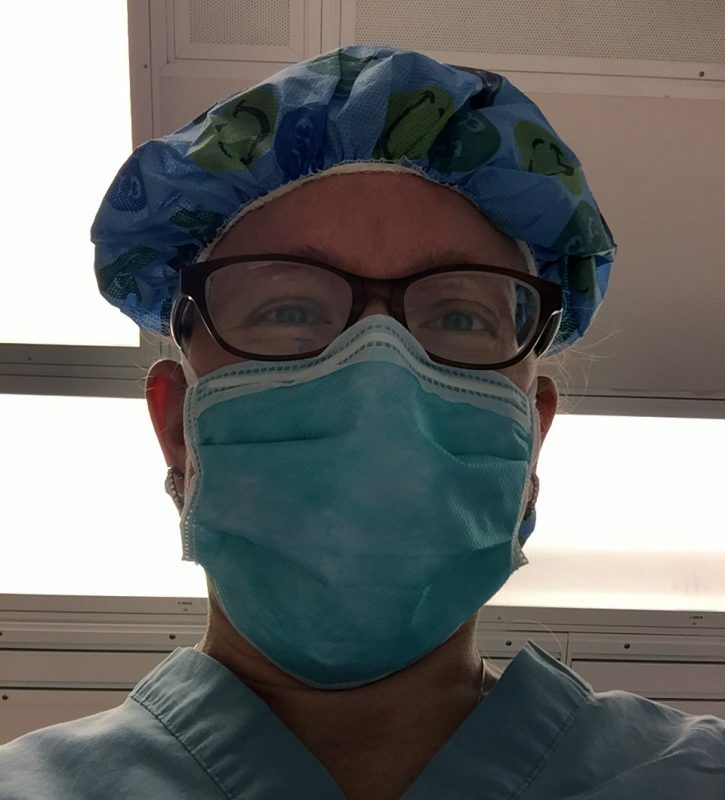 Another hashtag commonly associated with the challenge is #ILookLikeASurgeon. The challenge has been answered with hundreds of photos tweeted during the ensuing weeks. 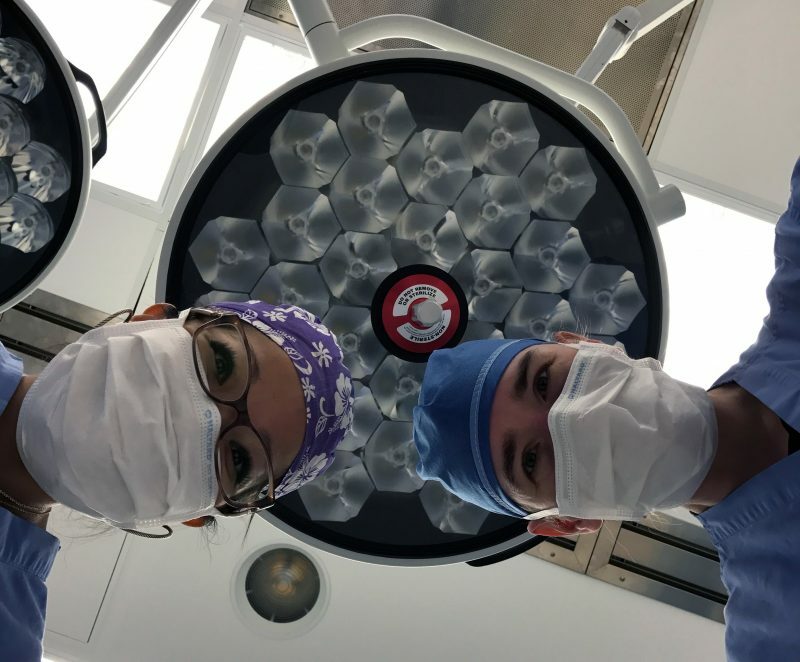 It was no surprise that several of the woman surgeons who practice at Akron Children’s Hospital were willing and able to take the challenge. In the U.S. there are only 219 certified female neurosurgeons, according to American Board of Neurological Surgery (ABNS) statistics. We are lucky enough to have two: Drs. Gwyneth Hughes (right) and Tsulee Chen. Read a blog post about this elite club. Dr. Katherine Wolfe said she’s proud to be one of the 244 employed women physicians at Akron Children’s Hospital and she loves the sisterhood she finds with her fellow female surgeons. Their professional lives often overlap with their personal lives. For instance, Dr. Mancuso delivered Dr. Wolfe’s daughter, Kelsey. And Dr. Wolfe delivered Dr. Hughes’ son, Eric. Drs. Wolfe and Hughes enjoyed played rugby together at Case Western Reserve University. Finding a female pediatric orthopedic surgeon like Dr. Sheryl Handler is especially rare as very few orthopods are female due to the strenuous nature of the job. Dr. Handler keeps up a rigorous workout schedule to stay in shape for the OR. 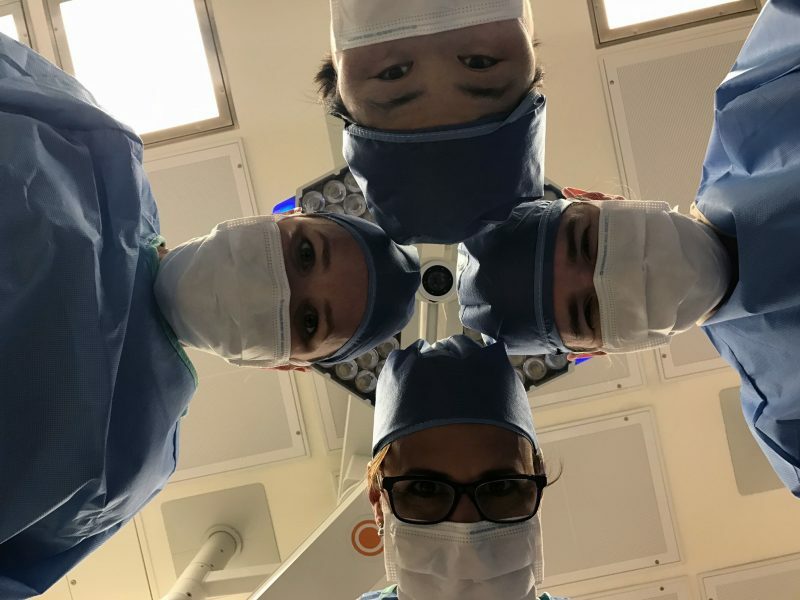 Dr. Sheryl Handler’s surgeries are mostly on our Beeghly campus, but she didn’t want to be left out of the #NYerORCoverChallenge fun, so she provided this true selfie for us.